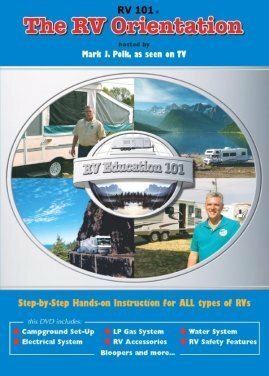 RV How To - Avoid Your Typical RV Disasters! RV How to avoid disasters can be a lifesaver - literally and figuratively! The most serious RV How to mistake is getting electrocuted! Every year someone gets killed by a mis-wired mistake when the RV is hooked up to shore power. The tool to save your life is called a "Voltage Detector" and is the size of a large "Sharpie" pen or small flashlight. If AC Voltage is present (where it SHOULDN'T BE), the device will beep and light up to warn you. Typically, I try to remember to touch it to the metal skin of the RV after I've hooked up shore power in a new location. Even new parks will have voltage issues. Basically, the AC Voltage is going where it shouldn't be and therefore the "skin" of the RV becomes HOT!! If it is wet outside and you are stepping into your RV from just hooking up at a new pedestal, it might be your last step! Just because everything works and seems fine, your neighbor 4 sites up may have hit the pedestal or forgot to unplug before driving away! A volt meter will not do the trick - you need a "Voltage Detector" and then just touch it to the outer skin of the RV or some metal - it will beep pretty loud if something is wrong! Pay attention to it - it just may save your life!! The EXTECH Voltage Detector can be purchased for under $15 - Get it! Just about everyone has been in this situation. What to do when your pulling truck or motorhome type engine is overheating? Obviously, it will depend on the circumstances! Best scenario - you've been driving with no indication of any problems and you come to a large hill/mountain to cross over. In a situation like this, the engine is suddenly being asked to work really hard - trying to pull itself and all of your stuff over a mountain - literally!! As you are climbing, you are watching your engine temperature gauge go higher and higher. Find a safe place to pull over and stop. Do NOT turn off the engine. Walk outside and open the engine compartment to see if it has a leak and let the heat out. If it has a leak spraying all over, you have no choice - you have to turn the engine off. You blew a hose, or something of that nature. 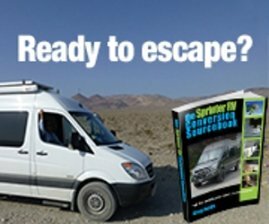 Once it cools, there are some really good "tapes" that allow you to re-seal the leak, add water from your RV tank and keep going - until you find a repair or parts facility. IF the engine area is just hot, but not leaking - leave the engine running and be sure your radiator fan is on - especially in a side-mounted motorhome type design. Have someone or yourself, verify the engine temperature gauge is starting to show cooling. If so - all good!!! You just found that you can only push your engine so much before it will overheat. Because there was no indication of a problem before the mountain, it is probably not the thermostat? The thermostat is a small device that controls the water flow thru your engine. It is designed to be closed when it is cold so the engine heats up to run more efficiently and provide passenger heat/defrost. Once the temperature has risen enough, that valve will open and allow constant water flow. If it sticks closed, it will just keep getting hotter and hotter and the engine must be turned off. This would be very rare while cruising down the highway, because it "usually" happens when going from a cold engine start - it never opens! A pretty common RV How to avoid disaster thing we'll see is people filling their fresh water tank from the same water outlet that is next to the dump facility. A very serious "No-No". You can get pretty ill from contaminated fresh water. The hose bib may look fine and clean, but the RV'er in front of you that already drove away may have put the same hose into his sewer hose to clean it!! It happens! Most facilities that offer dumping and water will have the "fresh" water in a different location - just to avoid contamination! Don't be lazy and think you can use the hose at the dump site for your fresh drinking water - you'll be really sorry the next day!! If you happen to put some of that hose water into your fresh water tank (by mistake, of course) - Please - take the time to drain it immediately and flush it out, with fresh healthy water. Then fill it again with the good stuff!!! You'll thank me the next day! Try to be serious about storing the dump hose away from your water hoses, filters, etc. Since we dump the black tank first (to allow you to clean out the hose with your gray tank fluid) - be sure to ALWAYS dump some gray FIRST - Just to be sure all connections are good and the outlet sealed! Sooooo much easier to deal with a gray tank spill!! After dumping a few seconds of gray - all OK? Then dump your black and end with the gray. Believe me - this is one RV How To you really want to do right! This RV How to can be the subject of many arguments - and laughs - depending on your perspective at the moment! Prior to backing up and expecting your "partner" to help, review some basics with each other, prior to attempting to back up with a "helper". 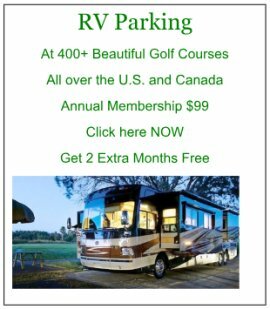 Avoiding RV disasters here is really important. Taking out the RV Park pedestal or hitting something just isn't fun anymore! There is nothing more frustrating than trying to back up and can't find your helper in your mirrors or have no idea what the helper is signaling. 1. Review with your helper first where you want to actually park. 2. Have established exact signals to use and see. 3. Helper should be on the inside of the turn area, if possible. 4. Helper should keep all of the rear area in view. 5. Helper should really try to ALWAYS be in the "mirror". 6. Once hazards are ruled out, best if helper provides a "line of sight" for the driver backing up - the parking goal is the helper. If at all convenient, always try to pull as far forward as possible, prior to backing up. Remember, you want your pivot wheel as close as possible to the pivot point before backing up. We've seen all kinds of "helpers" - sticking their head out passenger window and yelling; standing on the side about 15 feet back and "watching"; and, of course, the trying to help but no obvious connection with their driver - either visibly or verbally! RV disasters can be avoided just with basic communication. Have a Great Tip we can all use?? Do you have a great tip or trick that we can all use? Share it!